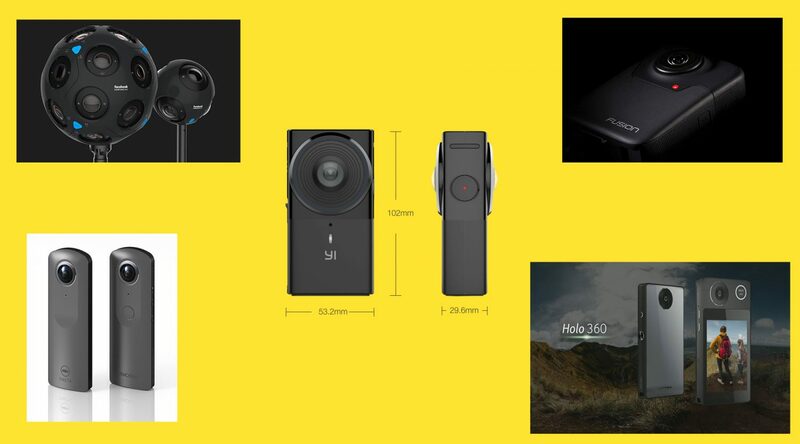 Home » 360 Camera News » 5 new 360 cameras announced in just one month! This month has seen an explosion of new 360 camera being publicly announced. It only seems like a few months ago that there were no more than a few different 360 cameras to choose from, by the end of the year there will be more than 10! The release of so many new 360 cameras is a sign that the market is hotting up, with big players like GoPro and Facebook entering the fray. The more companies that make 360 camera the better, this will help drive innovation and keep prices low. Last year saw the successful release of cameras such as the Ricoh theta S and Samsung Gear 360, now other tech companies are lining up to take a piece of the pie. Let’s take a look at the 5 cameras announced this month and take a glimpse into the future of 360 tech. This is potentially the most exciting announcement this month! GoPro are finally making a dedicated 360 camera (I’ not counting their Omni Rig which was basically 8 GoPro’s tied together) and they are calling it the GoPro Fusion. 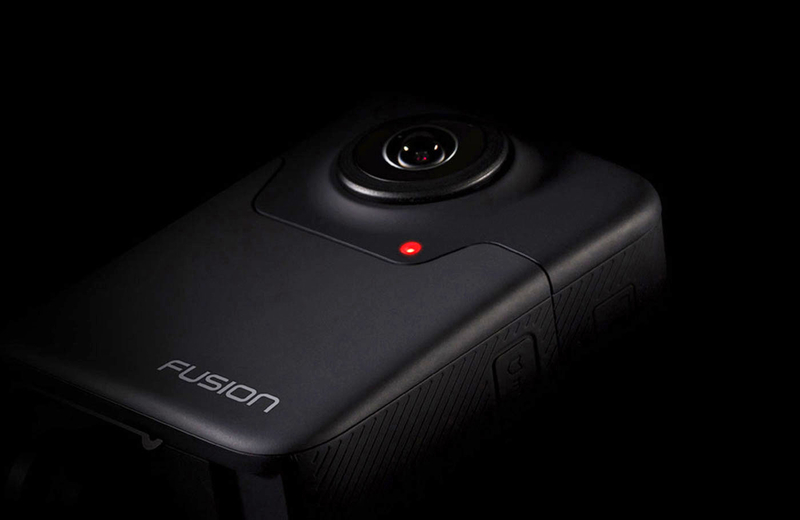 The fusion will be able to shoot 5.2K full 360 video at 30fps and that’s pretty much all we know. GoPro are keeping tight lipped about their new device, but they did show off a preview video shot with the camera and it’s one of the best 360 videos I’ve ever seen. Everyone knows that GoPro can produce excellent, small, versatile cameras, so I’m really hoping that they pull this off and create something special at a reasonable price. This could turn out to be the best consumer 360 camera of the year. Ricoh announced their 4th 360 camera this month and the big news is that it can shoot 4K 360 video. 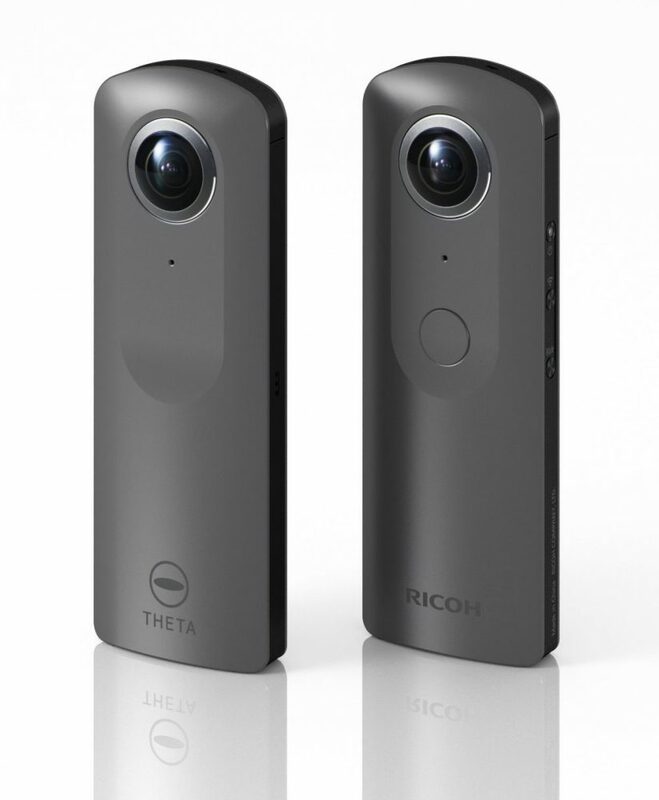 The previous Ricoh Theta versions are the most popular 360 cameras, mostly because they are small, easy to use and compatible with iPhone and Android. 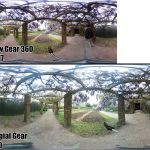 Unfortunately Ricoh 360 cameras are not great at shooting 360 video, with a resolution of only 1920X1080. Now that they are giving their newest camera a boost in the resolution department there is little to it being close to perfect for consumer level 360 enthusiasts. Shortly after GoPro announced their 5.2K 360 camera, Yi Technologies, a Chinese tech company, announced the Yi 360 VR, a 5.7K 360 camera. This awesome looking camera could be one to watch as it seems to have all the specs someone who wants to shoot great 360 media could ever want. It can shoot almost 6K resolution 360 video, it can livestream in 2.5K and it only costs $399 – amazing value for the specs. 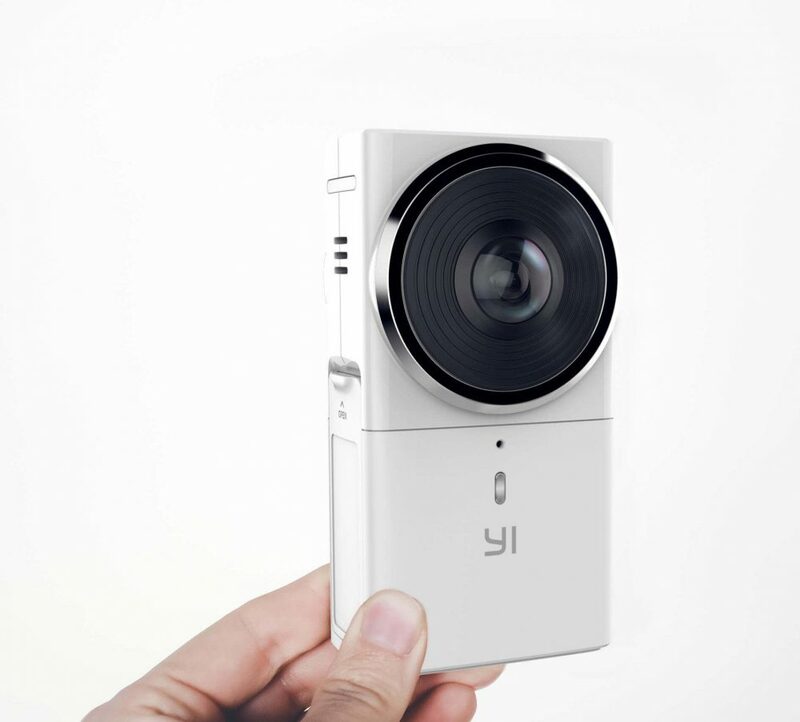 If the software is good then this could be the best 360 camera yet, certainly the best value. Facebook is one of the companies putting its full weight behind 360 content. It was one of the first platforms that allowed people to upload 360 photos and video, it created automatic stabilization sofware for 360 video and it even released an open source professional 360 camera. 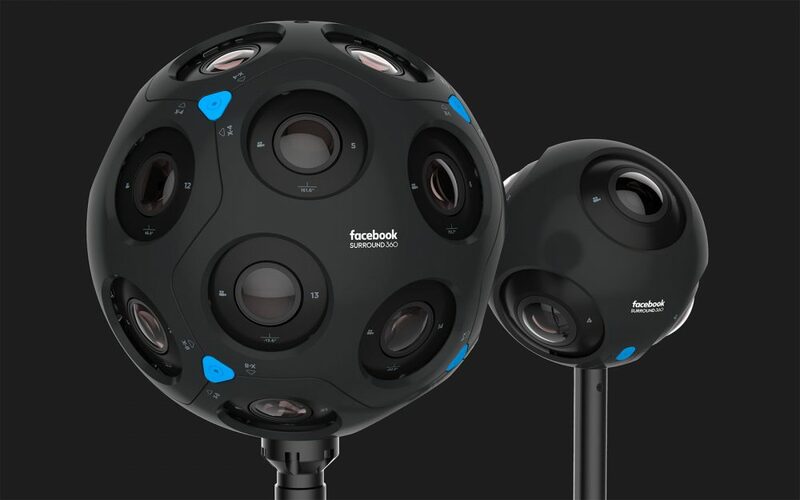 Now Facebook is going one step further and look set to actually produce and sell their own line of 360 cameras. The larger x24 is primarily for processional film makers and will probably be out of most peoples price range, however the x6 will be affordable and aimed at casual content producers who want to create high quality 360 video for VR. Capable of shooting in 8K, the advanced software will allow the viewer to move and tilt just as it VR; this will allow people to experience depth in 360 photos and videos and adds a whole new layer of immersion. Acer have thrown a curve ball with their new 360 camera and so far I like what I see, even if it has limited application. 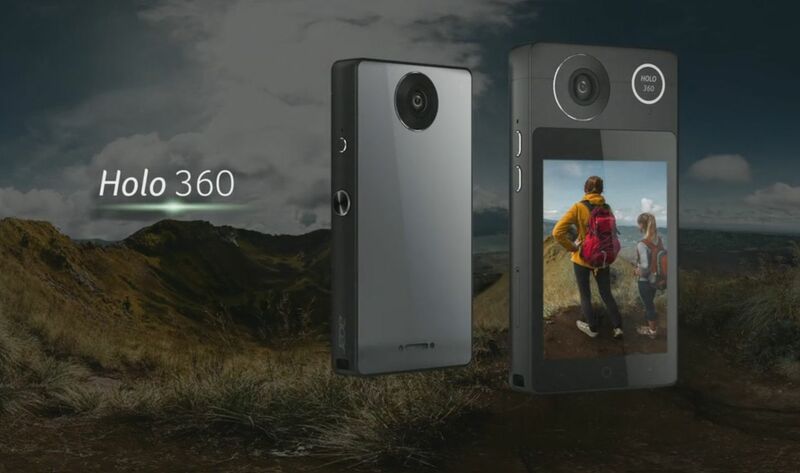 The Holo 360 is the first 360 camera from Acer and its standout feature is that its also a phone. Yep, you can make calls on this thing, however the main point is that it utilises LTE connection, meaning you don’t have to connect to WiFi or another device to upload 360 media. The Holo 360 won’t be a fully fledged smartphone, but it will run on a variant of android and include a large screen, something no other 360 camera has had so far. With a wider array of connectivity options, the Holo 360 may be suited to those who are likely to take their camera to more remote locations, such as the mountain rage depicted on their imagery. No word on the video quality or any other specs for that matter, but as soon as I hear anything I’ll be sure to update you here.